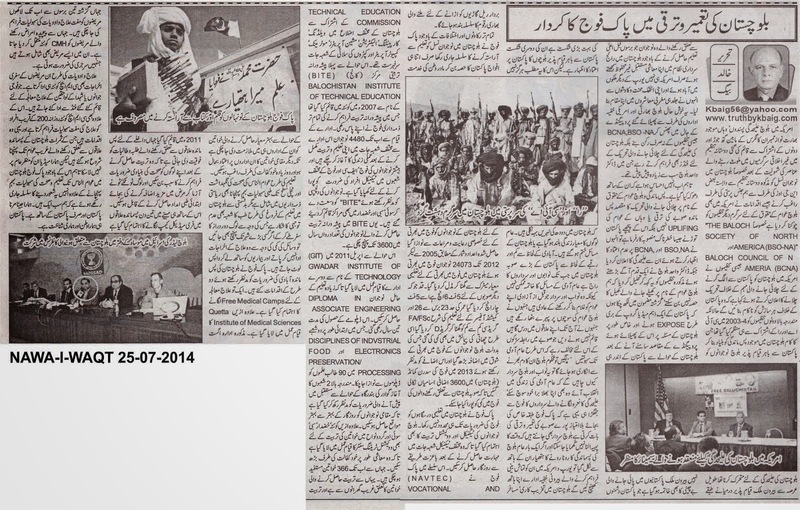 Truth by Kbaig: Role of Pakistan Army in the Development of Balochistan..! Role of Pakistan Army in the Development of Balochistan..! 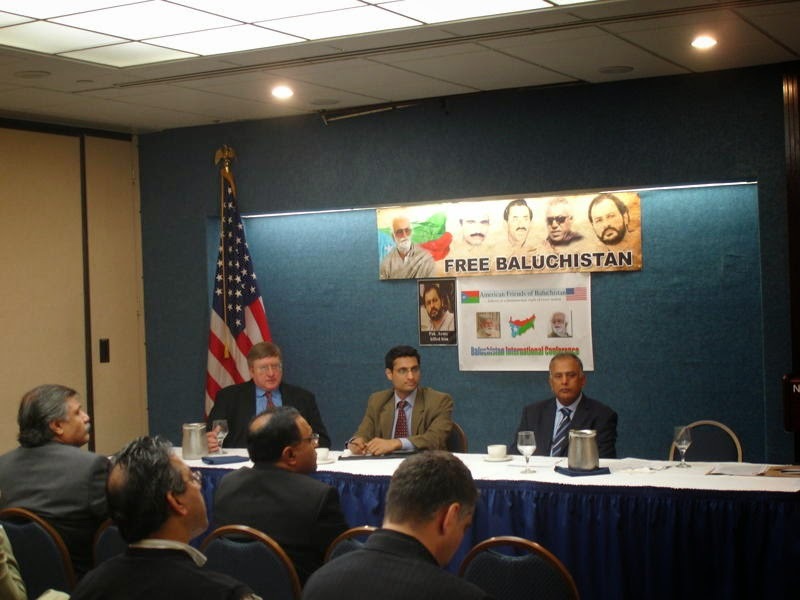 After the elements involved in illicit activities joined American Friends of Balochistan (AFB) organization established through the nexus between Baloch insurgents in USA and pro-Indian Congress Lobby and luring Baloch youth into homosexuality by few NGOs working in Balochistan linked with AFB, members of organizations like The Baloch Society of North America (BSO-NA) and Baloch Council of North America (BCNA) working for rights of Baloch people announced to start campaign against conspiracies to separate Balochistan from Pakistan with the pledge to defend Pakistan from external conspiracies. 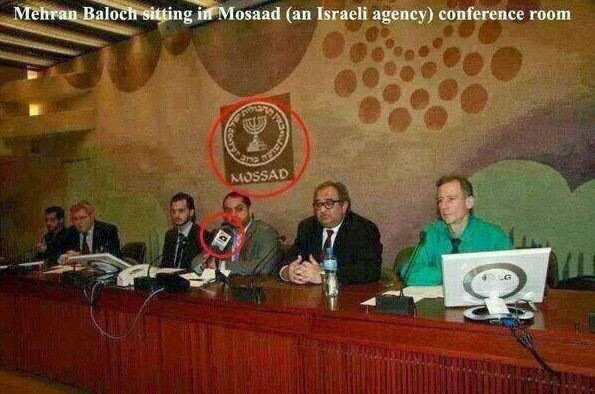 Although both organizations were established during 2003-04 as a nexus between CIA and RAW apparently for the rights of deprived people of Balochistan. Members of these organizations were those Baloch who despite of achieving higher education were unable to secure their future due to feudal system in Balochistan, thus migrated to USA and other European countries and earned fame due to their untiring struggle. These Baloch not only were entrapped by the RAW in these organizations for procuring rights of Baloch people but also collected funds for freedom of Balochistan out of which Dr. Wahid Baloch was on top of the list. However, now they have realized that they have been deceived; the goal of the organizations established in the name of rights of under-developed Balochistan was not to develop it but to break apart Pakistan; after realizing this, Baloch in foreign countries left membership of BSO-NA and BCNA. But Dr. Wahid Baloch went a step farther and announced to dissolve these organizations saying that they cannot be part of game played in the name of rights of Baloch public. In the previous post I have already written that after disclosure of reality of a Pakistani media group and propaganda by it over Balochistan, not only within Pakistan but the restlessness and chaos among Pakistanis living abroad have come to an end. Of course this is a big defeat of anti-Pakistan forces and their second defeat is the trust of Baloch living abroad, over Pakistan. But this does not mean that all the problems of Baloch people have been resolved or the life standard of general public in Balochistan have been improved. As long as there is feudal system in the biggest province of Pakistan by land and smallest province of Pakistan by population i.e. Balochistan, the problems of general public cannot be solved. Because those feudal lords that are habitual of keeping Baloch public as slaves before independence of Pakistan, who have even chained thoughts of their subjects, who do not allow schools, who do not allow construction of roads because if these facilities are provided to Baloch public then they will deny their slavery. Why would Baloch feudal lords like that revolution is brought into Balochistan empowering public to decide their fate. Army’s determination for development of Balochistan indifferent to elite or public is the basic cause behind the conflict between army and Baloch feudal lords chanting the slogan of separation from Pakistan. 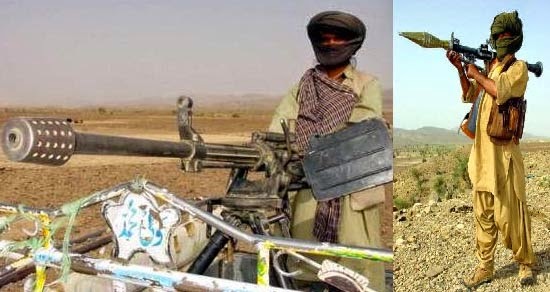 Baloch feudal lords are aware of this fact that time cannot be reversed and once the weapon of shedding crocodile’s tears over the under development of Balochistan is taken from them, the foreign agencies funding their luxurious life in Europe would stop funding them; the dollars they receive for terrorism, sabotage of trains in Balochistan etc. would be stopped as well. Despite of all the hurdles and conflicts Pak-army continued the mission to educate Baloch public; not only this, special relaxations were given to Baloch youngsters for induction in Pak-army. According to the calculations from 2005 to 2012 approximately 24073 Baloch youngsters were inducted in Pak-army. 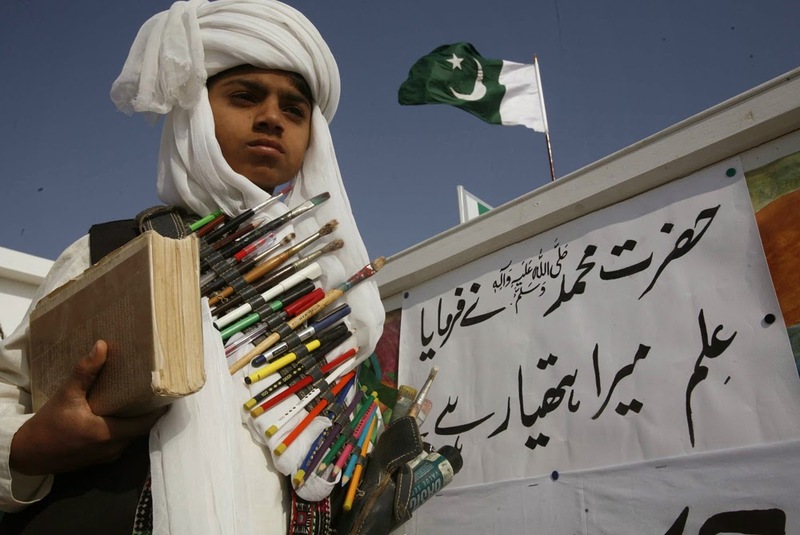 The special relaxation for education standard was given to Baloch people by lowering the merit from secondary school education to middle, by lowering the height from 5 feet 6 inches to 5 feet 4 inches, by lowering education for induction as officer from C grade FA/FSc to D grade FA/FSc, Baloch youth was motivated for induction in Pak Army. 3600 extra posts were created in Southern Command of Pak Army to accommodate these Baloch soldiers. Pak army does not limit itself to education only in Balochistan but different technical courses were started as well so that Baloch people can earn respectful livelihood. In this regard with the cooperation of Vocational and Technical Education Commission (NAVTEC) different courses of Welding, Carpenter, Electrician, Machine Operators, Motor Mechanics, Computer Operators and Tailoring were started. First institute Balochistan Institute of Technical Education (BITE) was established at Quetta in 2007 under the supervision of Pak army. 4480 Baloch have been imparted with skilled education so far and inducted in armed forces as well in order to fulfill the demand for skilled workers. Keeping in view the response from youth, BITE has been expanded to various districts of Balochistan. Currently more than 3600 students are under training in BITE institutes. Second institute Gwadar Institute of Technology (GITE) was established in April 2011, so that educated youth can be imparted with the Diploma Asociate Engineering; initial two courses Disciplines of Industrial Electronics and Food Preservation Processing had been started, so far 90 students have completed their education. These two courses have been started keeping in view the future demand of Gwadar port for skilled manpower so that local population can be given opportunity for improved livelihood. Moreover, in Quetta, Khuzdar, Sibbi, Sui and adjacent areas various vocational institutes have been established for training to women so that they can play their role in the development of motherland as well as empowering them economically and socially. So far 366 women have been trained. Women trained in these institutes belong to poor families; those students who have procured higher positions in training have been offered jobs in these institutes in order to motivate other women. Like education provision of health facilities to all segments of society is also duty of state but in Balochistan just like education, health sector has been ignored as well. Due to this underdevelopment if people succeed in reaching some big city for medical treatment; they are unable to pay the bill for treatment and return uncured. Keeping in view these problems of the Baloch public, Pak Army has taken two steps; (1) established Free Medical Camps and (2) establishment of Quetta Institute of Medical Sciences. This institute was established in August 2011, it has special quota for students from underdeveloped and remote areas so that these trained people can provide basic medical facilities in their areas and first aid as well. In addition to this; medical camps are established in remote areas every three days in a month where millions of people have been treated free of cost for last three years. Patients having complexities are referred to Combined Military Hospital (CMH) for treatment as well as surgery.